This week’s entry is Kevin Keller, the alliteratively-named Archie Comics character. Debuting in September 2010’s “Veronica” #202, Kevin’s Archie’s first openly gay character. Kevin was created by Dan Parent, who’s written/drawn most of Kevin’s appearances so far. Kevin’s an “army brat” who’s moved around with his family to various cities, before they finally decided to move to Riverdale. Kevin shares Jughead’s voracious appetite for food. However, he seems to have become a closer friend to Veronica, who tried to hit on Kevin in his first appearance. Kevin’s other interests include writing, track, and serving as class president. He’s also been out to his family, and to everyone in general, for some time, like many gay teens these days. Kevin’s also made appearances in “Life With Archie.” The adult Kevin had enlisted in the military like his father. He also married an African-American doctor (Clay Walker). Anti-gay group “One Million Moms” got wind of this issue. However, the group’s protest of Toys-R-Us over selling the comic resulted in the issue selling out. Despite only being a few years old as a character, Kevin’s made quite an impact in comics. Most prominently, Kevin had his own ongoing bimonthly comic that ran from 2012 to 2014. For awhile, this made Kevin the only gay male lead in a major American comic publisher’s comic. The Big Two comics publishers do feature various LGBT characters, such as DC’s Batwoman and Marvel’s Northstar and Wiccan. 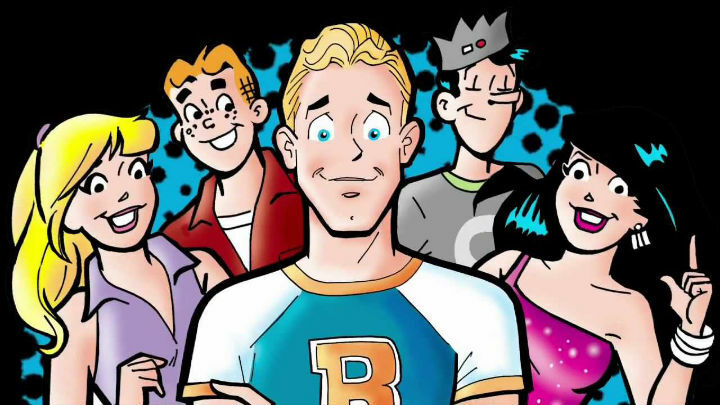 Kevin’s still making regular appearances across the Archie line, including in their 2015 reboot of the main “Archie” title. Kevin appears in the CW live-action series “Riverdale,” which debuted in 2017. Actor Casey Cott plays Kevin. What are the best selling "Scooby-Doo Team-Up" issues?